It must be fairly noted that this latest broadside represents an actual improvement in methods employed by the American domestic wing of the Israeli Mossad intelligence organization. In this new case, at least the ADL has taken public responsibility for the demonization, innuendo, and ad hominem attacks they periodically launch on their opponents. Such is not always the case. It is a matter of public record that Rabbi Ariel Tuchman, the Director of the Library and Research Center of the ADL in New York, and an Assistant Director of their Civil Rights Division, was deliberately concealing his identity from the public in a series of anonymous assaults being directed against critics of the Israel Lobby and the government of Israel on an Internet site called JHate. That scam was detected and traced. Other anonymous sites of this ilk have surfaced since. Why is this so? The reason is simple and obvious. The ADL cannot stand on its own record which includes the Stalinist profiling dossiers their New York office develops on American political dissidents for subsequent distribution and use by their Regional Offices in the United States, the news media, and most ominously of all, both Federal and State governments. In 2002, the San Francisco Superior Court awarded former Congressman Pete McCloskey a $150,000 court judgment against the ADL in a illegal domestic spying case. In March of 2001, a U. S. District Judge upheld a $10.5 million judgment against the ADL in a defamation of character litigation that saw the ADL convicted in April of 2000 by a Federal Jury in Denver. 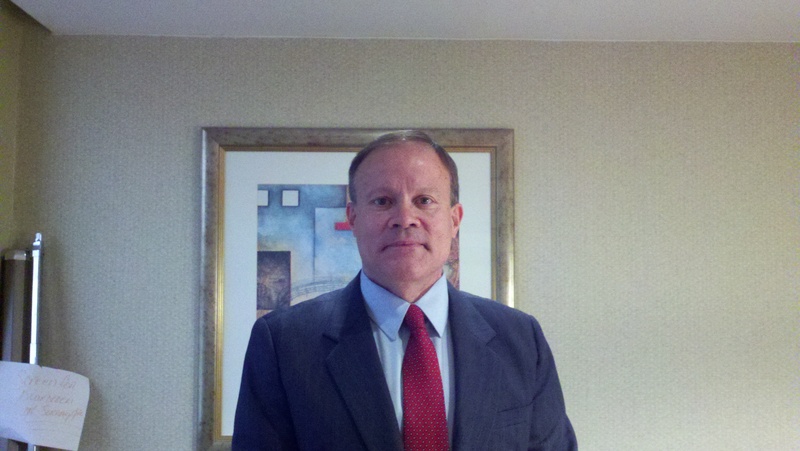 The history of the Washington Institute for Near East Policy (WINEP) as an Israeli front organization, and the taped video of Patrick Clawson’s recommendation of black covert operations and false flag incidents to initiate war with Iran, may be accessed courtesy of Grant Smith. This matrix is even more ominous when considered in tandem with Michael Collins Piper’s expose on Magal Security Systems. Do we really want an Israeli company controlling security to American nuclear weapons and sites? So what then, does one do if entrusted with the task of providing Positive Public Relations (PPR) for this criminal enterprise drenched in blood, deception, and terror all the way from the King David Hotel, Deir Yassin, and the Lavon Affair to the Kennedy Assassination, the USS Liberty attack, the Pollard and AIPAC spy cases, the Sabra and Shatila massacres, the murder of Rachel Corrie, and the Mavi Marmara incident? It’s easy. You control. You isolate. You peripheralize. You intimidate. You pay off. You bluster. You libel. You label. You demonize. You perfect the art of guilt by association, half-truth, and the ad hominem attack launched from subterranean darkness. Up until recent years, it was easy for the ADL and their fellow travelers to do this. The Tribe controlled the major news networks and the significant print dailies and weeklies. It was the last word and the end of the story. They had an absolute lock on the process. But that age is over. Alternative news media, independent journalists, and international television outlets not beholden to Benjamin Netanyahu, Abe Foxman, Rupert Murdoch, Wolf Blitzer, AIPAC, and Sheldon Adelson’s Sands casino, are now a fixed constellation in a new universe. The brightness and allure of the stars in this new constellation are emblazened across the night sky. Millions of global citizens generally and North Americans specifically, are finding everything from The Ugly Truth to Press TV and Russia Today. 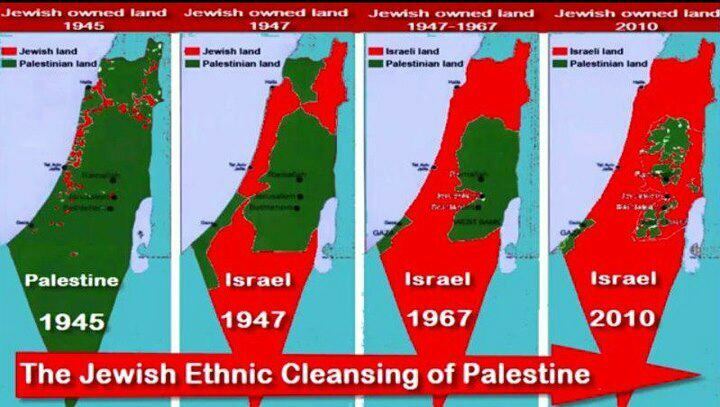 A Picture is Worth a 1000 Words: The Jewish Ethnic Cleansing of Palestine. It is driving the ADL nuts. Their desperation and hysteria will only go up and off the charts from here. Why? Time and Truth are the weapons of the God of History in corroding the power and influence of the coercive and the duplicitous. The latter’s invincibility has already been disproven. The morally and spiritually indefensible cannot be defended forever. There isn’t enough manpower and money in the world to accomplish it. It makes decent and powerless people everywhere smile, even as we watch. Go ahead, Smile! While the ADL Sweats! 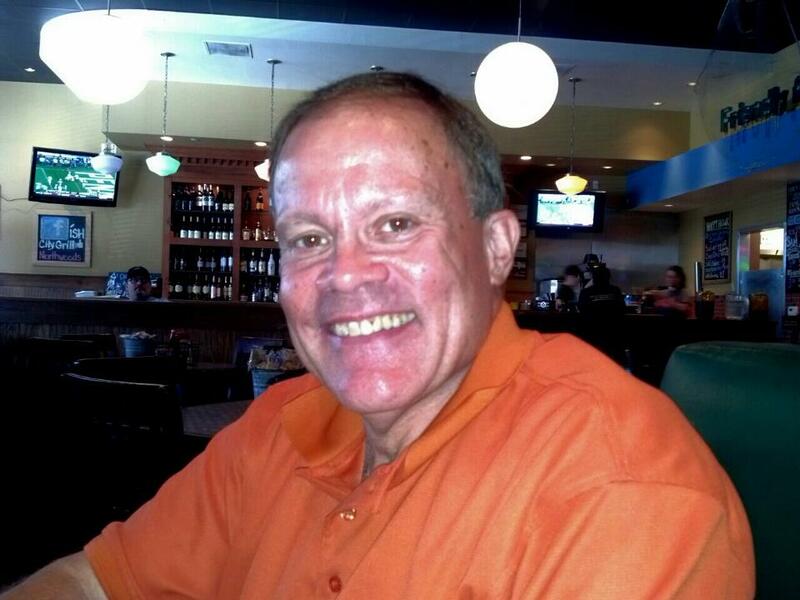 Mark Dankof smiles at Fish City Grill after Tamyra’s haircut and a trip to the Gun Range. Auburn versus Arkansas in the background. Switching gears, it was indeed a week to smile and have fun in San Antonio. 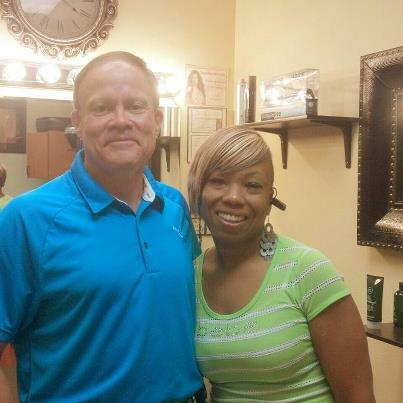 I was reunited with my old hairstylist, Tamyra Sherman of M&S Cuts in Live Oak, Texas, this week. She took great grooming care of my late Father in the last couple of years of his life from either the wheelchair or the barber’s chair, and has cut my hair for about 6 years. I had lost track of her when she left a managerial position at a Corporate Hairstylist Conglomerate in Live Oak’s Forum Shopping Center. As it turns out she has added the role of business entrepreneur to her considerable tasks as a wife and mother. I’m only the latest longtime client to join in the support of her effort. If you’re in that area, I urge you to do so also. It will bring you smiles, a great friend, and good grooming on an ongoing basis. Mark Dankof and Tamyra Sherman of M&S Cuts in Live Oak, Texas. She is a great lady and good friend. I was also reunited with my .357 Colt Magnum revolver this week, courtesy of the repair work by my Gunsmith which completely restored the weapon’s double action capability. I discovered in a trip to the gun range south of San Antonio with my Gunsmith and another close friend, that I’d gotten rusty in my accuracy with the weapon. In recent years, I’d gotten so used to rapid fire with .45 Colt ACP, the Walther PPK in .380 Auto, and the AR-15 rifle, that my ability to shoot from the hip rapid-fire with a .357 Magnum revolver had declined where accuracy was concerned. The bad news is that my shots were pulling far to the left. The good news is that the problem was eminently correctible. Altering the position of my front foot in the step taken toward the target; flexing the knees a bit more; leaning more forward; and most importantly, using more of the first section of my index finger inside the trigger guard, brought back some of the old magic. 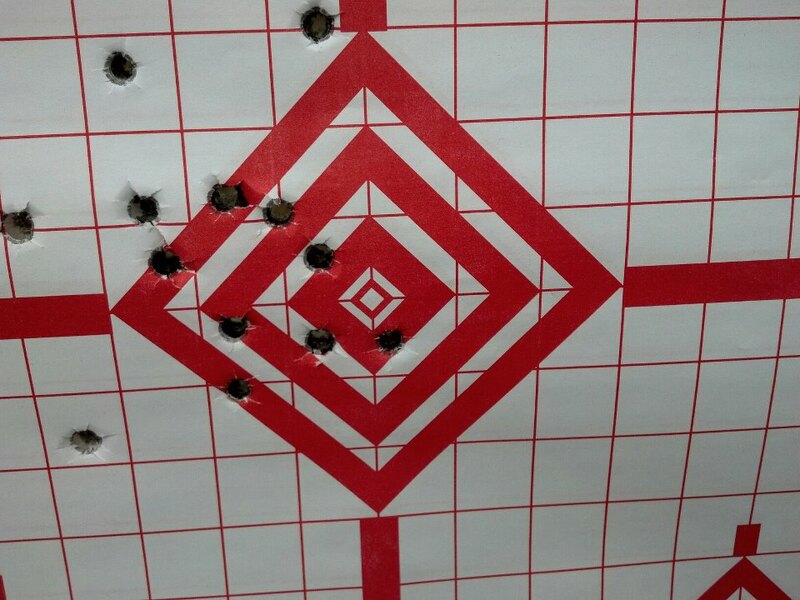 In two more sessions of 50 shots apiece, I should be acquiring the center diamond of the target once more in rapid fire at 30 feet. My thanks go out to my Gunsmith and to my Organist at Immanuel Lutheran Church, who came to my testing session with his own 9 millimeter Ruger. We had a blast! And many smiles in some good clean escapist fun in the Alamo City. Message: We all need to get away from the grimness of this world and the problems of our lives periodically, and have some fun. And Smile! Immanuel Lutheran of San Antonio’s organist: Equally Adept at Handling Johann Sebastian Bach or a Concealed 9 mm Ruger. Mark Dankof’s Gunsmith par excellence! Defend Your Right to Defend Yourself! .357 Magnum spread at 30 feet. Rapid fire. Dead trigger pull. Pattern was still left after corrections, but greatly improved. 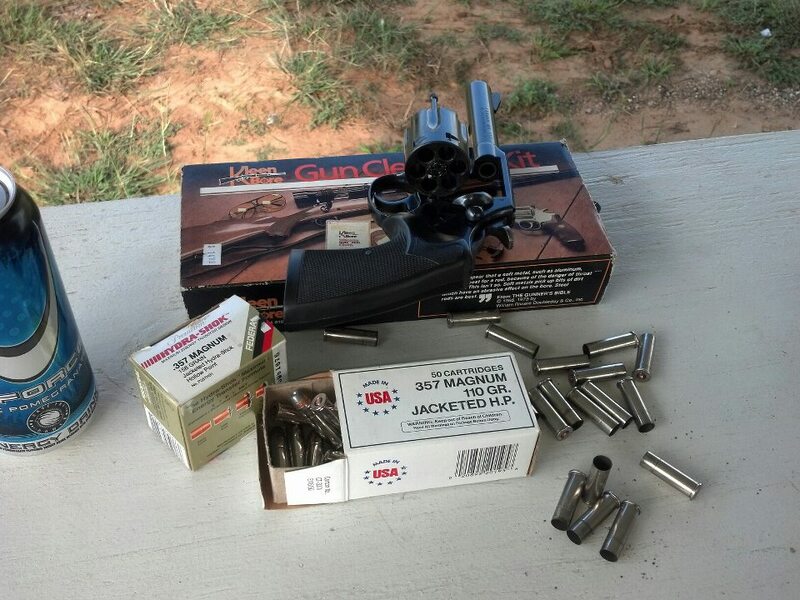 Colt .357 Magnum double-action revolver with cleaning kit, ammo, spent brass, and an energy drink!